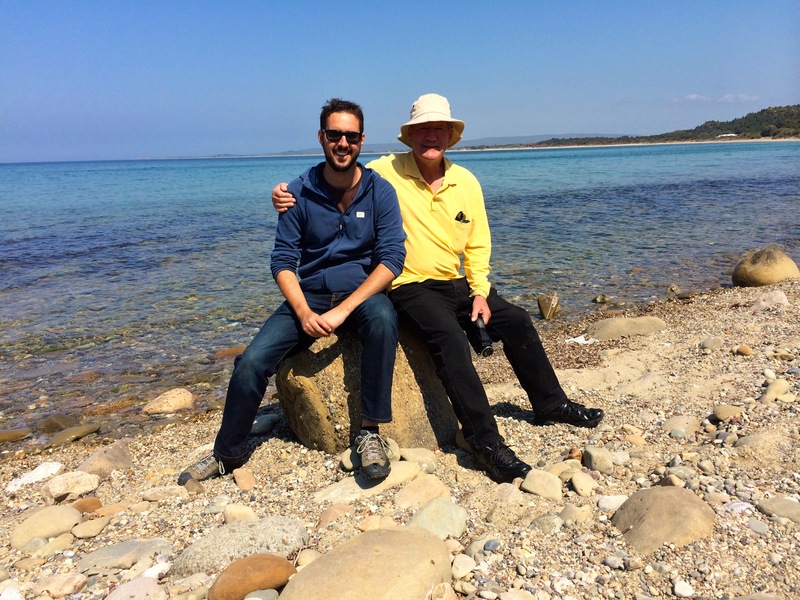 We were fortunate to be able to return to Gallipoli the day after Anzac Day to have a more leisurely look at some of the battlefields on the peninsula. 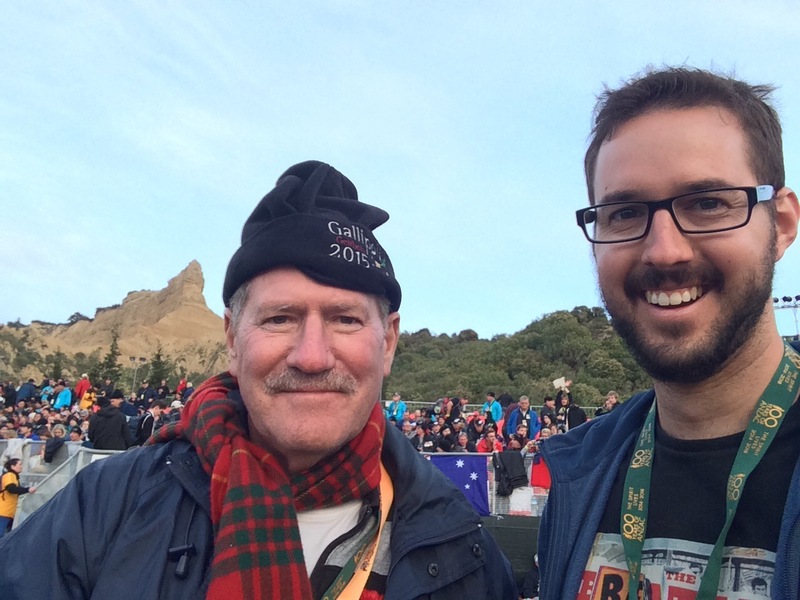 Although Garreth and I already had a pretty good idea of the challenges faced by the Anzacs due to the topography of the region, the opportunity to walk around gave us a new perspective on the campaign. Our tour group were still tired after Anzac Day – being awake for almost forty hours had taken its toll, and we crossed the Dardanelles on the ferry back to Eceabat in weary silence. Once we arrived on the peninsula, without the enormous crowd and numerous security checkpoints, it was much easier to be able to observe our surroundings. One of the most frequently cited reasons for the failure of the Anzac landings is that the forces were landed on the wrong beach. (There were numerous reasons, of course, but coming ashore at Ari Burnu, rather than Kapatepe, certainly hindered the beginning of the campaign.) The stretch of land between Eceabat (on the Dardanelles) and Kabatepe (on the Aegean coast) is a flat plain – perfect for landing a large force. If the Anzacs had landed there, as planned, it may have been possible to sweep straight across to the Dardanelles, thus cutting off the Turkish forces on Cape Helles from any reinforcements and forcing them to fight on two fronts. We started at the Anzac Commemorative Site on North Beach, where the grandstands from the previous day were in the process of being dissembled. We scrambled down to the waterline and looked back at the cliffs. They seem to wrap around the beach, starting from Ari Burnu in the south, giving a very claustrophobic feeling to this section of sand. Walking southwards along the road, we visited Ari Burnu Cemetery and Beach Cemetery, before catching a bus back up to Lone Pine, which was now empty of people. Just northwest of Lone Pine is Johnston’s Jolly, a part of the ridge where Anzac and Turkish trenches were only separated by seven metres. It was close enough for soldiers to be able to lob bombs back and forth between the trenches. 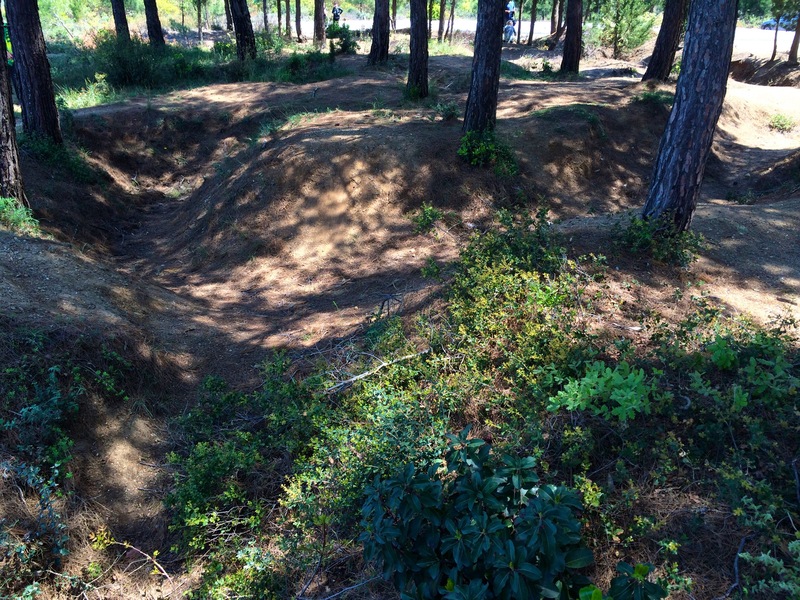 The trenches are still visible in the dirt – narrow gullies covered with pine needles that wind between the trees. 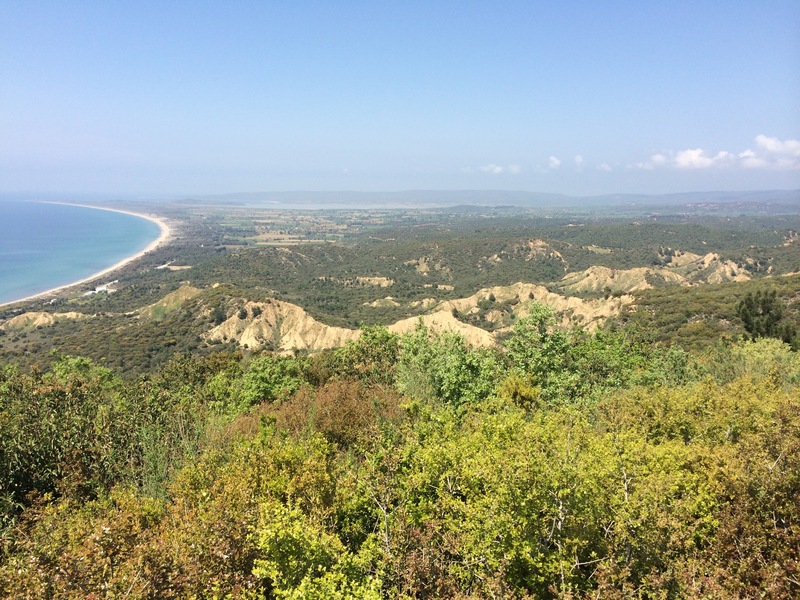 Looking back from Johnston’s Jolly, we could see the rocky peaks of the first ridge that overlook Anzac Cove, including the back section of the Sphinx. In that valley between the ridges was some infamous places, such as Quinn’s Post, where the Anzac troops eked out a precarious existence as the Turkish soldiers rained bombs and bullets down on them. Standing up there, looking down on those vulnerable places, it was incredible to think that the Anzac forces held out for so long. But hold out they did. On one night, the Turkish offensive of 19 May, the Anzac force of 17,500 managed to defend against 42,000 attacking Turks. The view northwards to Suvla Bay from Chunuk Bair. The real tragedy of Chunuk Bair was that the British reinforcements in Suvla Bay decided to stop on the beach for a spot of tea and a swim rather than racing inland to assist the New Zealanders. 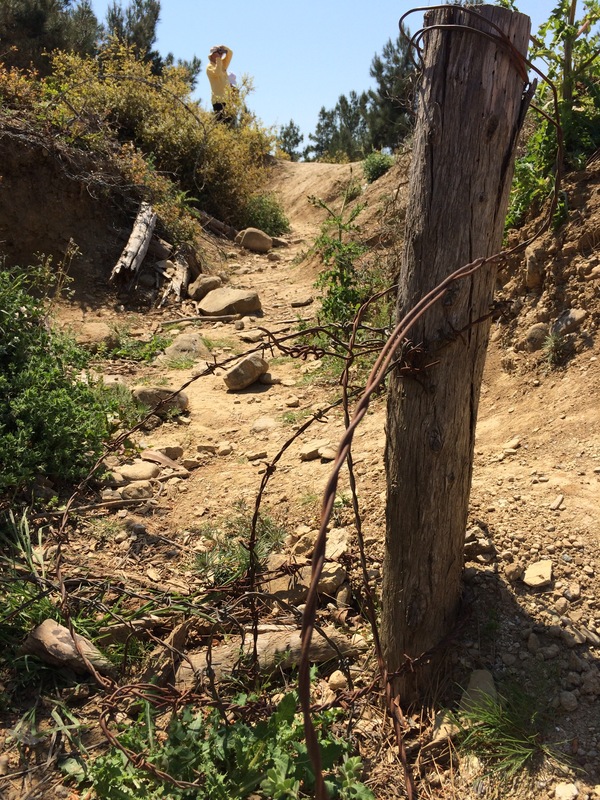 Even Atatürk would later admit that if the Anzac forces on Chunuk Bair had been able to hang on to the mountaintop, the whole campaign would have turned out differently. All of the places I’ve described are within easy walking distance of each other. The Anzacs only held 400 acres of land on the peninsula. It couldn’t be described as a foothold, but a toehold. Those soldiers spent eight months clinging to the side of cliffs. It’s sobering to think of how many soldiers died – on both sides – for this desolate piece of coast. I had mixed feelings as we left the Gallipoli peninsula that day. I feel privileged to have been there, in that particular place at that particular time. It felt like a sacred pilgrimage, as I visited those sites whose names have become part of Australian folklore. Finally, I was overcome with a great sense of sadness. These cliffs are a mass grave, a memorial not just to the soldiers who rest here, but a memorial to human folly, desperation, and the futile ambitions of old empires. We could see them across the gulf of a century. They huddled together in the boats in the bitter grey twilight as they approached the shore. We stood on the beach, cliffs at our back, eyes cast out to sea, waiting for them. When they came ashore, amidst a maelstrom of bullets and shrapnel, they were disoriented and scared. Imposing cliffs rose above the thin strip of sand and rock. This wasn’t where they were supposed to land! It was the wrong place! Across the span of time, we welcomed them in silence, here on this dismal shore in the biting cold, standing shoulder to shoulder with their former enemies. 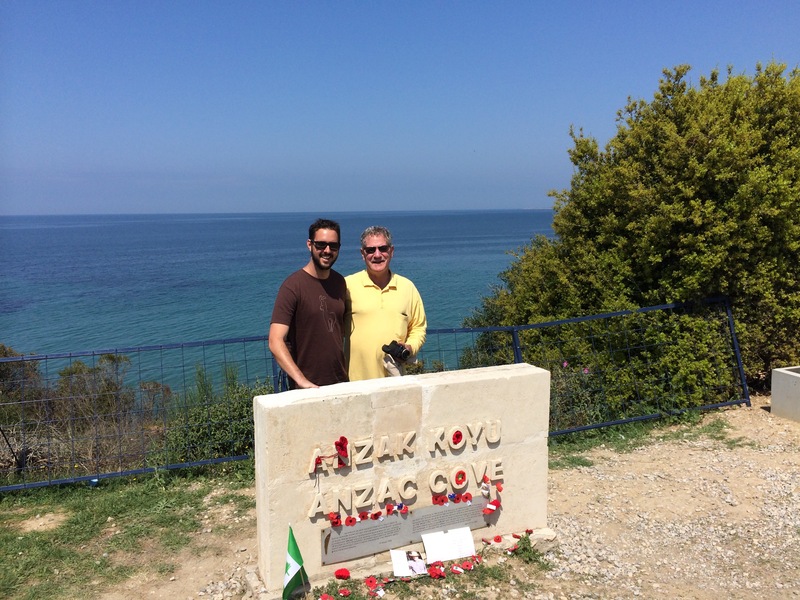 We stood here with them, here at Anzac Cove. 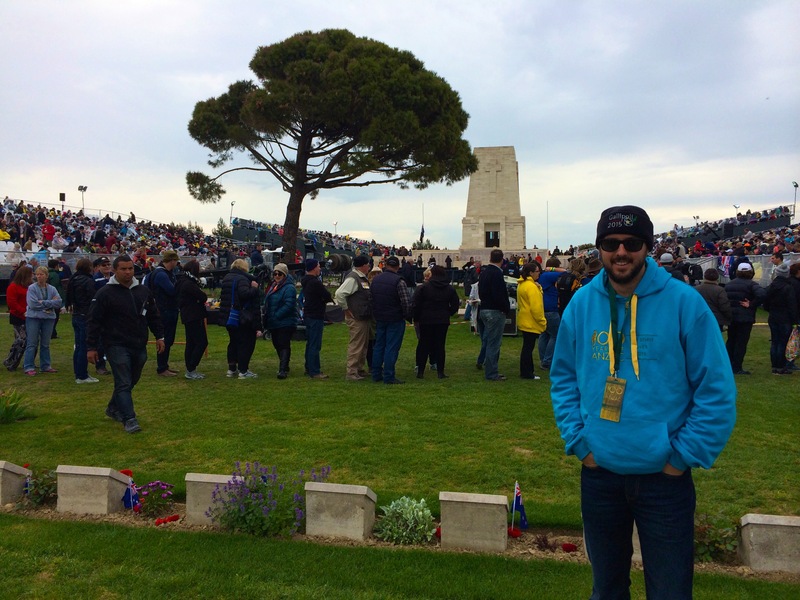 Nothing I’ve experienced in my life can compare to commemorating the centenary of Anzac Day at Gallipoli. 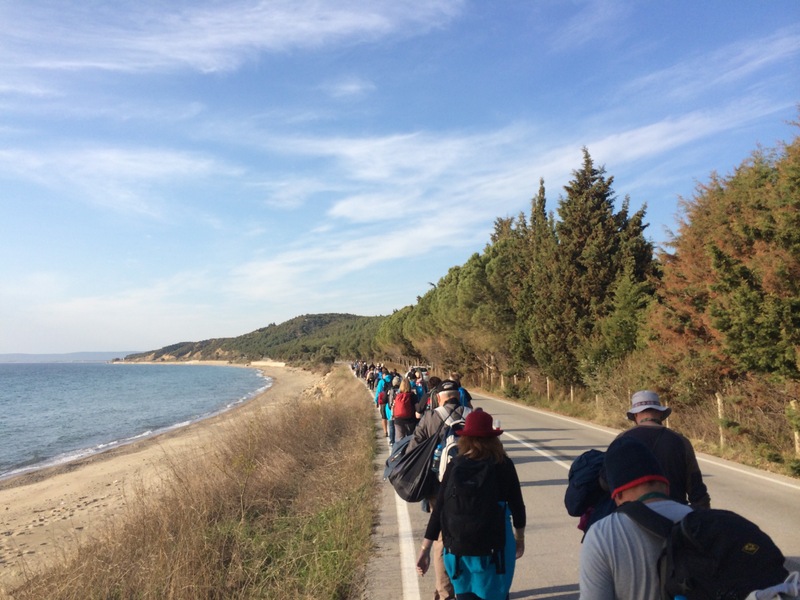 We arrived on the Gallipoli peninsula in the early afternoon of Friday, 24 April. There was a great sense of migration, an inward press of people converging on the same place. We were fortunate to cross the Dardanelles so early in the day; we heard that over 300 buses were waiting in line at a crossing further up the channel. After passing through the bus registration point and various security checkpoints, we arrived at the holding area at Kabatepe. It was our first view of the desolate Gallipoli coastline. 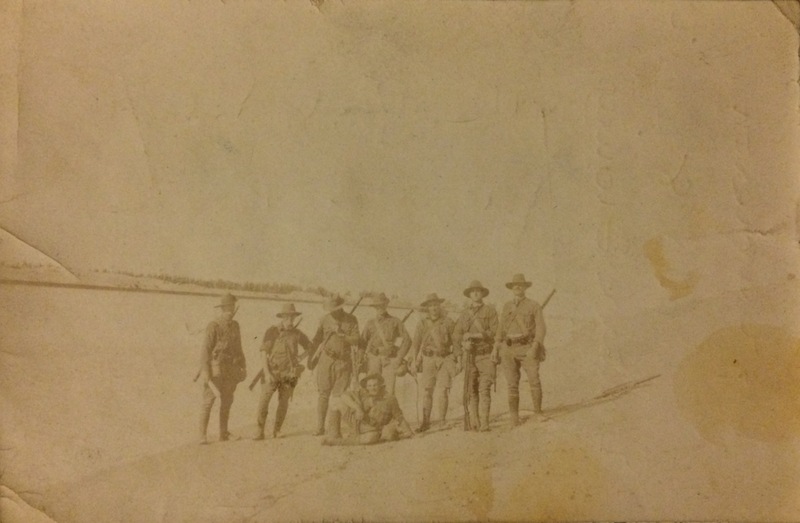 Kabatepe was where the Anzac soldiers were supposed to land – a flat beach leading to the inland plains. To the north, we could see the beginnings of the Sari Bair range – rugged ridges rising up from the beach. The walk to the commemorative site took forty minutes. The cluster of grandstands and stages were nestled under the cliffs, looking down onto the beach. The imposing rock edifice known as the Sphinx towered over us. It’s only now that I truly understand just how steep the cliffs are – photos don’t do justice to their sheer scale. This was the worst possible place along this entire peninsula to attempt a landing. How the Anzac troops managed to even establish a beachhead is entirely beyond my comprehension. We settled down on the grass (and my parents settled down in one of the grandstands) and watched night fall over the Aegean. A long night was ahead. Because we’d arrived so early (bus number 87 out of an estimated 500), we were lucky to be able to lie down for the first few hours. 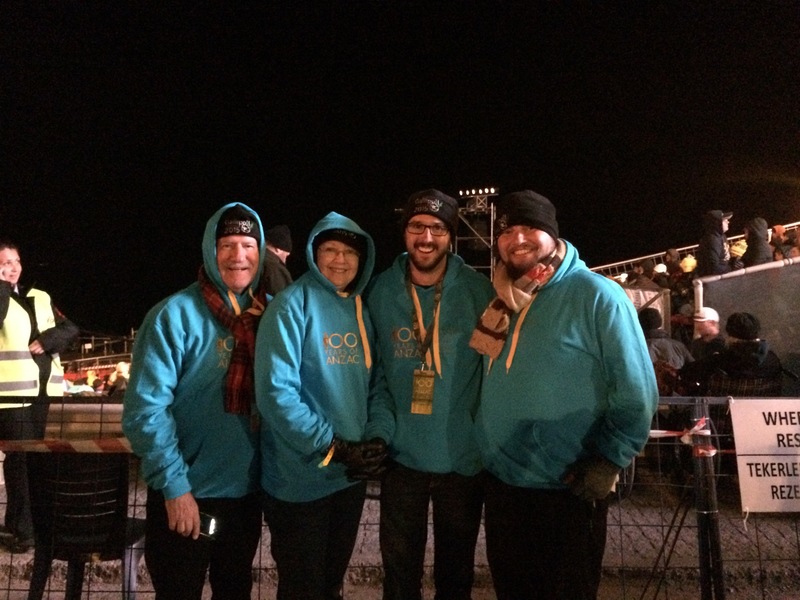 But around midnight, the continued influx of people meant that we had to first sit up, then stand to make room. 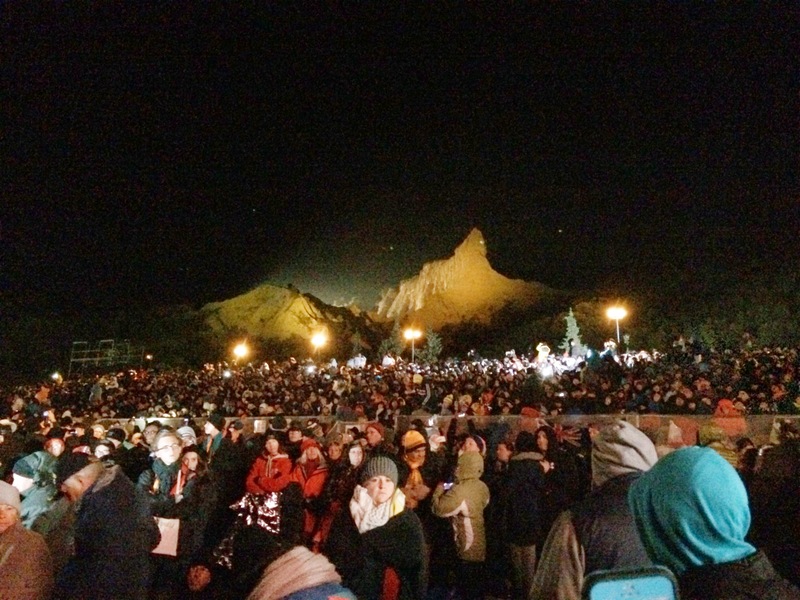 At 2am, there were still 1,500 people waiting to enter the site. But it was a night full of simple moments too. Walks with Garreth and my parents along the promenade. Watching the spotlights play over the Sphinx. Chatting to the New Zealand Prime Minister, taking a selfie with Kochie. Having a joke around with Eddie McGuire and telling him that I’m a huge Eagles supporter. And an interview I did for ABC radio. The cove felt like a little slice of home, here on his distant shore. The dawn was announced by a dusky red glow above the cliffs. As the service began, the sky changed to a grey twilight above us. Dignitaries made their speeches, and a procession of naval ships passed by the coast. There was a palpable swelling of emotion from the crowd. The Last Post has never sounded so haunting as it did in that morning twilight. When the main commemorative service had finished, the Australians hiked up Artillery Road to Lone Pine, while the New Zealanders continued on to Chunuk Bair. The Australian ceremony at Lone Pine was so much more relaxed than the main service, for which we were all pretty grateful, because most of us had been awake for over 30 hours at this point. The view from Lone Pine was also quite stunning, with a sweeping vista up the second ridge to Chunuk Bair. During the minute of silence, the chirping and whistling of birds sounded across the hilltop – it was hard to believe this peaceful place had once been a site of ferocious battle. Seeing the memorial at Lone Pine was a sobering way to end this day of remembrance. The Dardanelles campaign was a disaster for the Allies. 43,921 dead, 97,112 wounded. The Turkish losses were even more staggering: 86,692 dead, 164,617 wounded. We were constantly reminded that every step we took was on a grave of our ancestors. A century after the landings, it’s worth asking what the Anzac legend means to my generation, and what role it plays in defining our nation. It’s something that is hard to articulate, because it is something that exists inside us, something that is part of our identity as Australians. Gallipoli is Australia’s foundation myth. 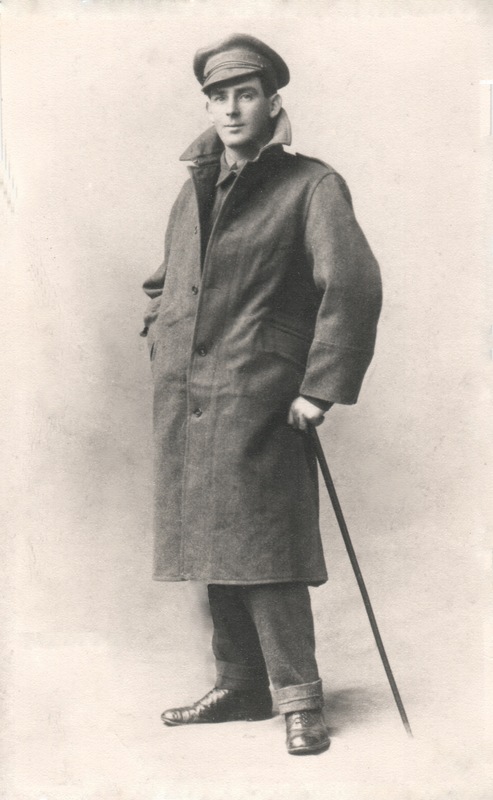 It is the story we learn in school – the story of Simpson and his donkey, the story of brave Hugo Throssell, the story of a desperate clamour up the side of cliffs, and the story of a withdrawal that didn’t cost a single life. It is our French Revolution, it is our War of Independence. It is the single moment when we became aware of ourselves as a nation – a moment when we stood up and announced ourselves to the world. 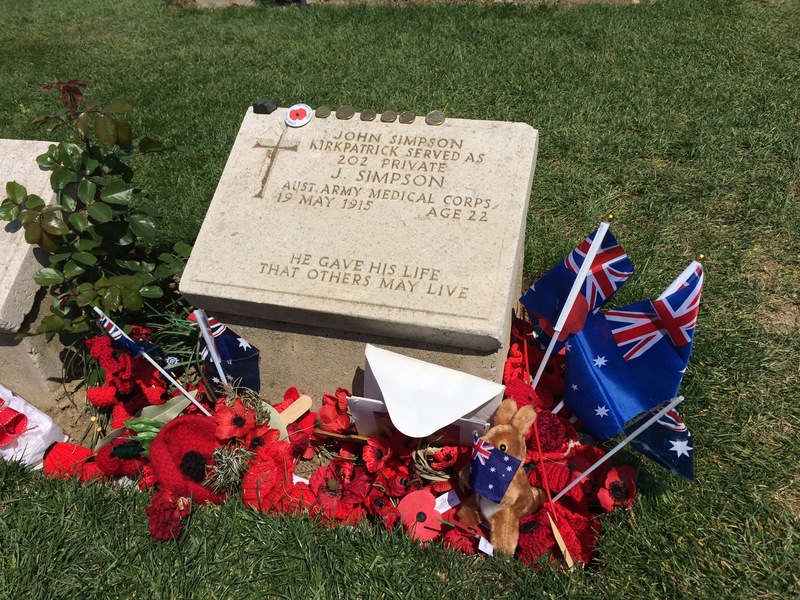 As long as Australia endures, the word Gallipoli will resonate in its people. And as I grow older and think about one day having children of my own, it seems more and more important to remember the sacrifices of our ancestors, to commemorate and celebrate their lives. And what about those Australian values that crystallised in these trenches – mateship, bravery, larrikinism? It seems to me that those values are more important than ever. 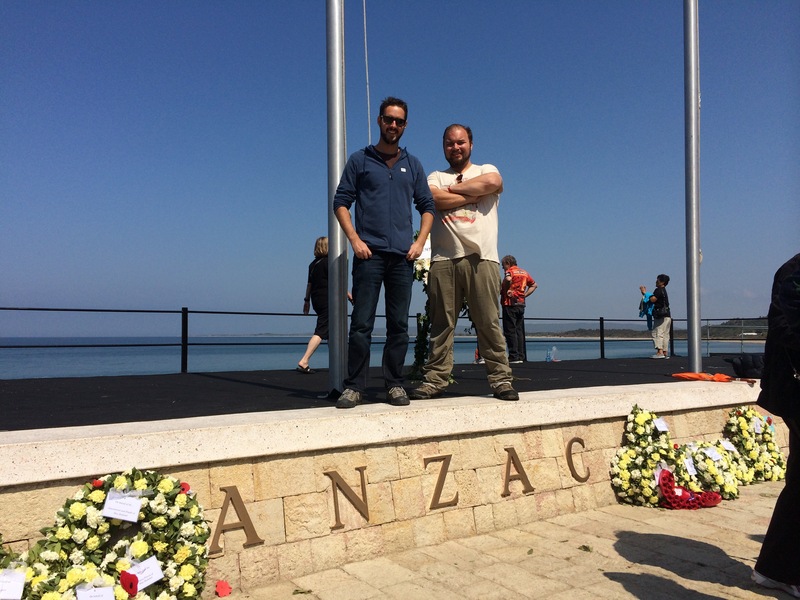 Having spent the last ten days on a tour with a group of Australian and New Zealanders, the sense of camaraderie we shared by the time we reached Gallipoli was only possible because of these shared values. As our nation continues to grow into the next century, it becomes increasingly important for our leaders to reflect on the values and lessons learnt at Gallipoli. Australia is a different place to what it was in 1915, but many of the challenges are the same. After spending the last week experiencing gracious Turkish hospitality, and hearing about how this country has made room for millions of their neighbours fleeing from religious and political persecution, my feelings on some of Australia’s issues have been reinforced. The second verse of our national anthem says that “for those who’ve come across the seas, we’ve boundless plains to share”, and I would like to see the current leaders of Australia remember these words and be as welcoming as our Turkish hosts have been. Sitting at the commemorative site, I thought about my grandfather as the dawn blossomed above me. I remembered visiting Albany, all those months ago, to commemorate the departure of the first convoy. (And how similar the coastlines of Albany and Gallipoli!) It had been the start of a long road, a journey that bridged across a century. And now I was standing in the place that had been the end of that road. My grandfather had been here, scrambling up the side of these cliffs, gasping and shouting into the dawn light. He was only here a few days before he was shot in the leg and evacuated. His story was short and furious, a mere drop in the tidal wave that washed up on this shore in 1915. I am humbled and honoured to be here. I know that, no matter where I go or what I do, I will always carry today in my heart. On those quiet mornings, when I lie awake and listen to the birdsong through my window, or on those tranquil evenings at Cottesloe, when the breeze is cool and the waves lap contentedly at my feet, my thoughts will return to this desolate stretch of coast and the profound and desperate events that occurred here. At the going down of the sun and in the morning, we will remember them. As our tour makes its way through Turkey, we’ve seen some incredible sights – the urban sprawl of Istanbul, the olive groves of Sirince, and the surreal Moonscape of Cappadocia. We’ve seen the mausoleum of Atatürk, the ruins of Hierapolis, and the ancient chapels of Göreme. We’ve explored the tunnels and chambers of Kaymakli underground city. We’ve watched demonstrations of the Whirling Dervishes, the ancient art of pottery, and the weaving of carpets. We spent an afternoon wandering the ruined city of Ephesus, where Garreth performed a Shakespearean sonnet in the Great Theatre. 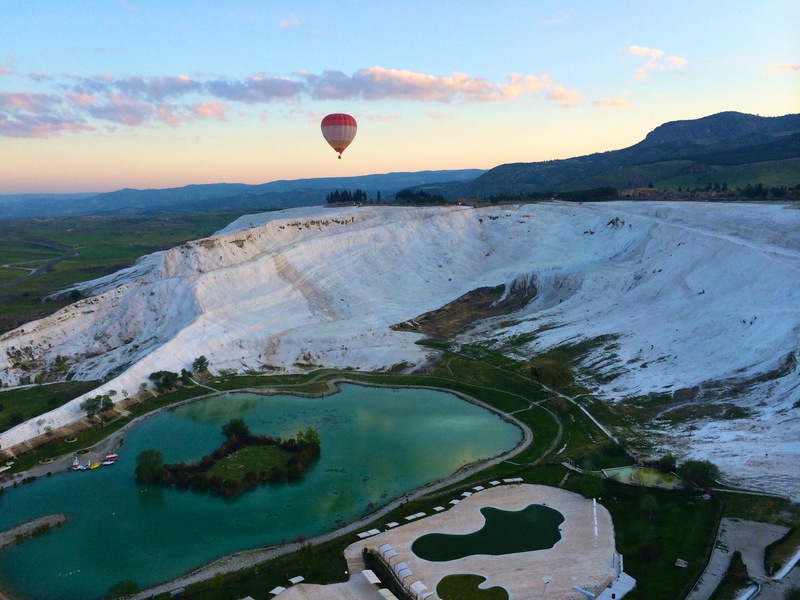 And we’ve watched the sunrise from a hot air balloon above the calcium terraces of Pamukkale. Each day has brought a wealth of experiences. Something we’re rapidly learning is what Gallipoli means to the Turkish people, and the significance it played in inspiring a revolution and developing the modern Turkish nation. This isn’t something we could pick up from a text book: it’s something we’ve gathered from conversations with locals, watching adverts and documentaries on Turkish television, and seeing how the nation is approaching the centenary of the battle. As soon as we’re recognised as Australians, there’s an instant kinship with our new Turkish friends. More than one local has used the term brother to describe the relationship. Australians are welcomed here – we fought in the same battle, we were forged in that same crucible. It doesn’t matter that we fought against each other; all has been forgiven. There is a distinct sense that we are travelling to Gallipoli to remember not just the Australians and New Zealanders, but the many Turkish soldiers who also lost their lives. The Turkish experience of Gallipoli was an entirely different narrative to what we hear in Australia. The soldiers were repelling an invasion of their homeland. In many cases, they were fighting for land that had belonged to their families for generations. Many of them sacrificed their lives to protect their nation. It requires a strange sort of cognitive shift to think of Australia as an invading force, but that’s what happened. When the First World War began, the British Empire may have been at the height of its powers, but the Ottoman Empire was in a state of decline. The Committee of Union and Progress were removing power from the Sultan and placing it in the hands of the people. An empire that had lasted for over 600 years was close to imminent collapse. And suddenly they found themselves embroiled in a war between the empires of Europe. The people knew that defeat could signal the end of the Ottoman Empire. So they were fighting not just for the defence of their homeland, but for the preservation of their way of life – their traditions, their culture, their very history. As I’ve previously written, the Turkish commemoration of Gallipoli occurs on 18 March, the day when frantic Turkish forces defeated one of the largest naval fleets ever assembled, as the British tried to storm the Dardanelles. It was an incredible victory for Turkey. A declining empire had defeated the mighty British fleet. It’s not hard to draw parallels between Australia and Turkey in the development of nationalism after the events of the war. 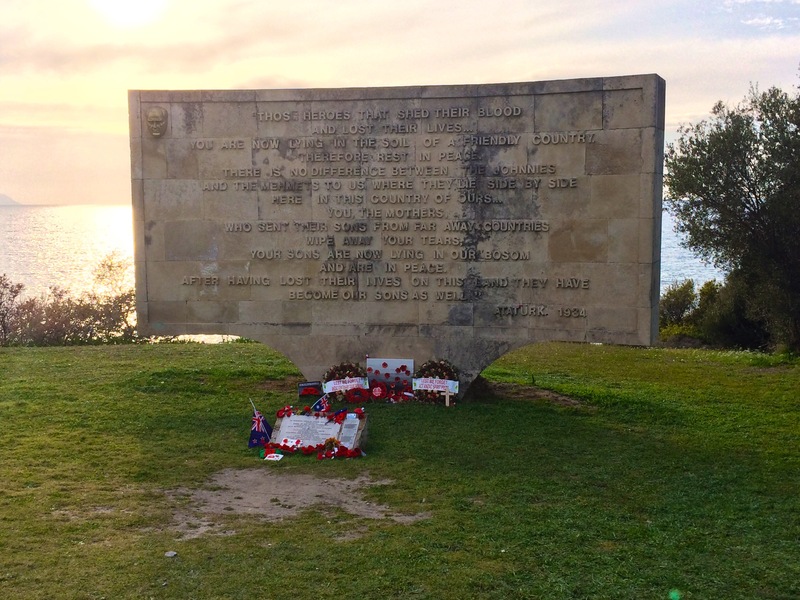 Gallipoli was the place that crystallised those traits that defined what it meant to be Australian – mateship, bravery, larrikinism, and a healthy disrespect of authority. It sparked the birth of our national consciousness. But in that same crucible, the modern Turkish nation was born. It was the final defence of the motherland, even as the Ottoman Empire crumbled. When Mustafa Kemal said to his soldiers “I don’t order you to fight, I order you to die,” the willing sacrifice of those soldiers bespoke of great loyalty to Turkey. Those heroes that shed their blood and lost their lives… You are now lying in the soil of a friendly country. Therefore rest in peace. There is no difference between the Johnnies and the Mehmets to us where they lie side by side now here in this country of ours… you, the mothers, who sent their sons from faraway countries wipe away your tears; your sons are now lying in our bosom and are in peace. After having lost their lives on this land they have become our sons as well. By separating Australia and New Zealand from the British, Atatürk created a bond between the nations. Our sons became their sons. The blood that had fallen on the Gallipoli peninsula was mixed between all soldiers, regardless of nationality. When we gather on the shores of Gallipoli in just a couple of days, I will be proud to be standing side by side with our Turkish brothers. 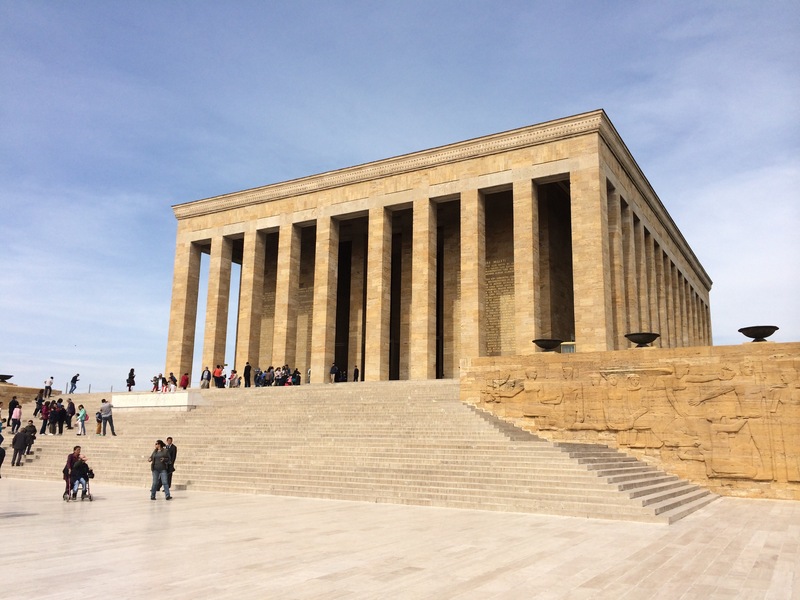 The legacy of Anzac isn’t confined to Australia and New Zealand – it is still alive here in Turkey, where it all began. It is the city that has endured. Empires have risen and fallen. Armies have surged at its gates. The ebb and flow of the world has threatened to overwhelm, but Istanbul has endured. Descending through the ubiquitous haze into Istanbul is like being swallowed into the belly of the beast. After two weeks in the orderly land of Germany, it was a real culture shock. The streets were chaotic – traffic weaving everywhere, hawkers pushing their products onto us, the trumpeting of car horns competing with the quavering calls to prayer. There was a vitalism here that I’d never encountered before. For the first time, I truly understood why Istanbul is considered one of the great cities of the world. It is a city of many names. It began as Byzantium, a thriving trading hub on the shores of the Bosphorus. Becoming part of the Roman Empire in 73CE, it would later be renamed Constantinople as it transformed into the capital of the Eastern Roman Empire. Even as the Western Roman Empire fragmented and collapsed in the fifth century, Constantinople cemented itself as the heart of the Orthodox Church. In 1453, the Ottoman Empire captured the city and declared it their capital. Finally, after the collapse of the Ottomans in 1922, it became known as Istanbul. This long and violent history is visible throughout the cityscape. Modern Istanbul is built on the ruins of previous cities. Ancient structures and fortifications rise out of the pavement, creating a confusing melange of old and new. Decay and modernity exist side by side. The most impressive monument is the Aya Sophia. Built in 573CE, it was the largest church in the world for over a thousand years. I’ve been inside some of the worlds biggest cathedrals – St Peter’s in Rome, St Paul’s in London, the Sagrada Família in Barcelona – but there’s something awe-inspiring about Aya Sophia. The dome seems to hover in the air, defying the laws of physics. The galleries on the second floor bear graffiti that is centuries old. Golden mosaics decorate the walls, painstakingly constructed in an age when Christianity was still in its infancy. Aya Sophia breathes – I could feel the organism inhaling and exhaling around me. When the Ottomans captured Istanbul in 1453, it was converted into a mosque. Islamic symbols exist alongside Christian markings. Now that the building is a museum, this strange fusion of religions is being preserved, a reminder of the potential for cooperation and peace between religions that is sorely needed. Our time in Istanbul included a cruise on the Bosphorus, that narrow channel of water which connects the Black Sea to the Sea of Marmara – one of the busiest waterways in the world. It was utterly congested with ships. Small yachts dodged around Russian tankers and stately cruise ships. Upriver from the old town, impressively straddling the shores, was the Bosphorus Bridge, connecting Europe and Asia. The cruise lasted until the late afternoon. The tepid sunlight reached us through the greasy haze, turning the sky a brilliant yellow. As the day faded, we could see the silhouettes of minarets and mosques clustered on the skyline. Looking over the city, I couldn’t help but imagine what the skyline would look like if the British fleet had managed to force the Dardanelles and reach Istanbul. I often indulge in these exercises of alternate history. 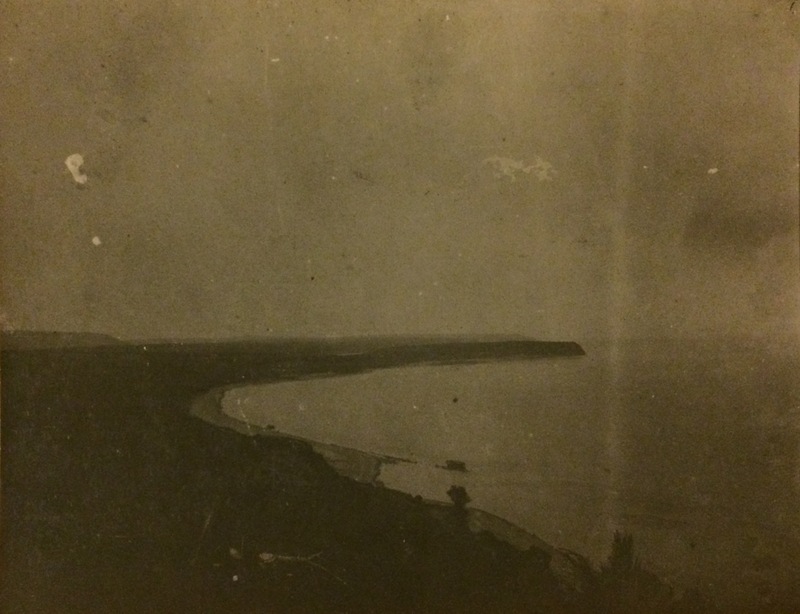 The far shore of the Sea of Marmara was visible through the haze; the Gallipoli peninsula was not far. If the fleet had broken though the Turkish defences, the whole of Istanbul would have been under the guns of the British cruisers. Which of these buildings would have been razed to the ground? Would the Aya Sophia still be standing after 1,500 years? What would have been lost in the attack? Given such high stakes, it doesn’t surprise me that the Turkish celebrate their equivalent of Anzac Day on 18 March – the day in 1915 when an enormous Allied fleet charged into the Dardanelles, only to be soundly defeated by a combination of shore defences and sea mines. The mighty British fleet was devastated, losing three battlecruisers in a matter of minutes. It was this defeat that prompted the British War Council to begin planning a landing on the peninsula. Istanbul was spared, and millennia of history was preserved. In reaching Istanbul, we’ve begun our tour of Turkey which will culminate at the Dawn Service at Gallipoli on April 25th. The tour bus is full of Australians; each one of us has a personal connection to the Anzac legend. There’s a sense of excitement as we embark on the journey, and a sort of somber anticipation of what lies ahead. All around us are constant reminders of the Anzacs: memorials, monuments, exhibits in the museums. Most importantly is the sense of camaraderie we share with the Turkish people. They are our brothers now, our nations forged in that same crucible on that blood-soaked shore. We are bonded not in a celebration of war, but in commemoration of our fallen sons. Every travel narrative should aspire to have one sublime moment, a moment when the traveller encounters something so beautiful – so vast and profound – that they are overwhelmed by the experience. The spirit soars and the mind boggles. Seeking such moments is the whole point of travel. I admit that I was utterly cynical about Schloss Neuschwanstein. Built by the mad King Ludwig II, it has served little historical significance except as a drawcard for tourists and Disney fans. I’ve seen so many photos of it – in Spring, Summer, or Winter – that I didn’t think I could be impressed. I’m always wary of such obvious tourist traps. It’s just a castle, right? We started the day by catching the cable car to the top of Tegelberg, a nearby mountain that serves as a launching point for hang-gliders. After a furious (yet obligatory) snowball fight, we spent some time admiring the view. The snow-draped Alps stretched to the horizon, under a blue sky that was a checkerboard of contrails. We descended Tegelberg and went on to Schloss Neuschwanstein. It was only as we got closer that I realised the position it commands. It straddles a hill in front of the mountains, so that no matter where you view it from – the mountains or the valley – it’s framed against a spectacular backdrop. And as we walked up to the door of the castle, I could no longer deny that I was captivated. Here was a unique piece of architecture – a kind of fairy-tale gothic – surrounded by the sublime majesty of the Bavarian Alps. Snowy peaks rise above it, a river cuts a deep gorge alongside it. I was converted. The best views of the castle are from the nearby bridge, Marienbrücke. It was thick with tourists – the clicks of camera shutters could be heard long before we reached the bridge. And it was a battle to push through the crowd. I’m pretty sure I’m lurking in the background of a dozen photos. We climbed a little higher than the bridge and, ignoring the numerous danger signs, emerged onto a precarious ledge that overlooked the castle. It was the best view yet, and we clung to the tree roots as we leaned over the edge. Here was the sublime in its purest form – a stunning mountain panorama, with the Alps rising high above us, coupled with the danger of falling to our deaths. I felt like a character in an Ann Radcliffe novel. A hike along the river finished the afternoon. A hike in the Bavarian Alps on a sunny afternoon, with the last of the Winter’s snow still melting on the ground. Our trip has been so focused on history – on the two wars that have ripped this country apart – that it was good to finally appreciate the scenery. Memory plays an important role in Berlin. It serves a dual purpose: to remind us of the past, and to prevent that past from happening again. It is embedded in the foundations of the city, where brand new bars and cafés exist alongside buildings that have survived two world wars. Monuments and memorials are scattered across the skyline. And on the streets, a double line of bricks mark where a wall once divided the world. We arrived in Berlin on Wednesday night, amidst a freezing torrent of snow and rain, dazed and exhausted after the long flight from Perth. Berlin was our first stop on our long journey to Gallipoli, and it seemed like an appropriate choice. Berlin occupies a unique position in the history of the twentieth century. No other city helped to shape the events of that century – and was subsequently shaped by the events – than Berlin. It was here in the heartland of Europe that the feuds and alliances that inflamed the First World War were formed. And it was here, in the decade after that war, as Germany struggled to repay its debt, that the foundations of the next war were also laid. Berlin still bears the scars of the Nazi occupation of Germany – in many ways, it defines what the city has become. For almost thirty years, between 1961 and 1989, Berlin was the physical manifestation of the divide between East and West, as the two sides faced each other, sabres rattling, over the wall. And when that wall came down and Germany was reunified, Berlin was finally able to achieve the prosperity that it long deserved. As students of history, it was easy for Garreth and I to lose ourselves in the past of Berlin. The Brandenburg Gate. The Reichstag building. Checkpoint Charlie. The Holocaust Memorial. The East Side Gallery. Everywhere we looked, history was beckoning. And since the reason for our trip is indelibly linked with that history, we felt an obligation to explore these sights and contextualise those events. Gallipoli is still far away, but the reason why Australia went to war can be traced right here to Berlin. There’s no escaping Berlin’s past. It follows you around whether you want it to or not. It’s the big things – the imposing stretch of the East Side Gallery, or the field of rectangular monoliths of the Holocaust Memorial. But it’s also the small things. Shrapnel damage to statues. Old facades showing through fresh paint. Those eastern industrial districts that still don’t have the affluence of the former West. But after a few days, the sheer number of memorials and museums we had visited began to blur into one. We were always looking into the past, always seeing Berlin through the lens of history, rather than focusing on the city that currently stands. I am reminded of a city from Italo Calvino’s Invisible Cities, one that is always looking backwards, never forwards, one that is entrenched so deeply in its own history that the present has ceased to have meaning. It was with great effort that we pulled ourselves away from the tourist traps and tried to seek out Berlin of today. It wasn’t hard to find. It was visible in the back streets of Friedrichshain, where a blooming art movement has sprung up around the host of small bars and clubs. It was visible in the enormous number of cranes that dotted the horizon, the number of streets that had been cut open to lay new U-Bahn tracks. And it was visible in the people we saw – the smiling football fans on the train, the bartender at the Easter Markets. Perhaps that’s the greatest thing about this city – no matter how dark the past, new memories are being made every day. And it this wild melange of old and new that shapes Berlin for a new century.